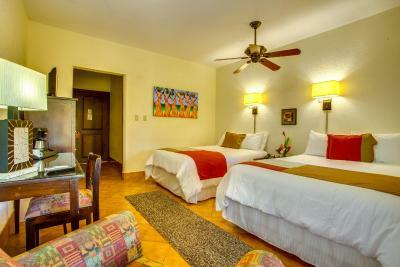 Lock in a great price for San Ignacio Resort Hotel – rated 9.3 by recent guests! Breakfast were great. Had the yogurt parfait. Location close to downtown for other adventures. Excellent location to town and as ll excursions. The food at the restaurant is very good. The staff was very responsive and helpful. The room was clean, beds were comfortable, and the location was perfect. The Wi-Fi worked very well, and the air conditioning in the room kept things very comfortable for us in a tropical environment. Would stay here again, of course. EVERYTHING! The hotel, the grounds the staff, the views, the food, the drinks, and the genuine smiles and helpfulness of every employee. Truly and amazing place. What a great overall experience in San Ignacio. The resort was everything we were expecting. From the time we checked in until we left the staff was awesome. They helped with what every we needed. The concierge was very helpful in setting up our tours. The Restaurant has so much good food. Everything we tried was top notch. The staff rocked. Thank you all for a great stay. The staff takes pride and dedicate all their effort in making the host happy. 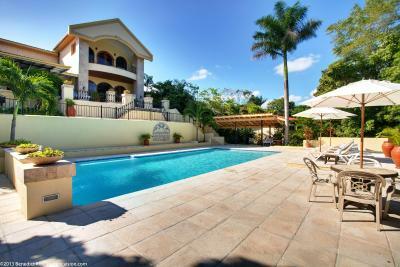 San Ignacio Resort Hotel This rating is a reflection of how the property compares to the industry standard when it comes to price, facilities and services available. It's based on a self-evaluation by the property. Use this rating to help choose your stay! 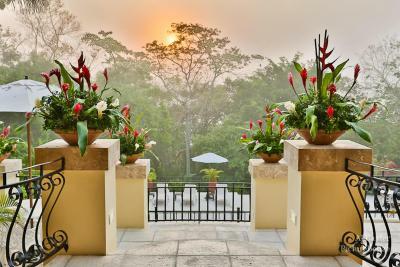 One of our top picks in San Ignacio.Just a 5-minute drive from the Cahal Pech Mayan Ruins, San Ignacio Resort Hotel offers an outdoor pool, an spa and fantastic jungle views. 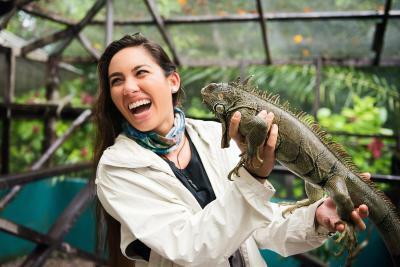 The Green Iguana Conservation Project is based on site. 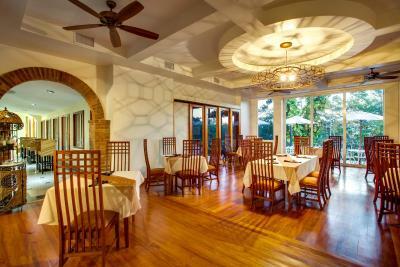 San Ignacio Resort Hotel has a restaurant, which serves international and Belizean cuisine. 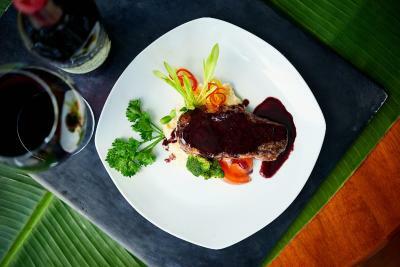 You can also find local restaurants within a 5-minute walk, in the center of San Ignacio. Free private parking is available at the San Ignacio Resort and the 24-hour reception can provide information about the surrounding area. 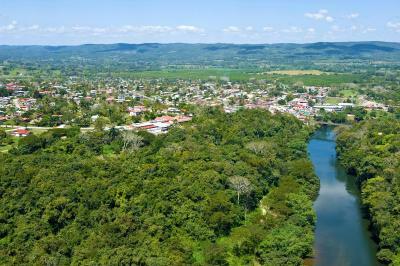 The border with Guatemala is 9.3 mi away, while Belmopan is a 30-minute drive away. 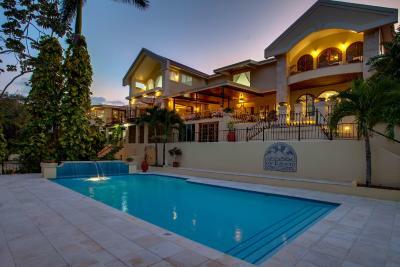 When would you like to stay at San Ignacio Resort Hotel? 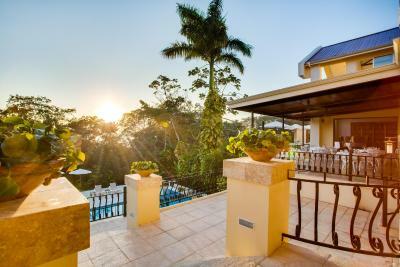 Easily accessible, this air-conditioned Balcony room has a private outdoor seating area with hammocks and patio furniture, overlooking the garden and jungle canopy. 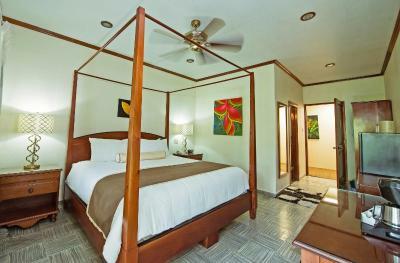 All Balcony Rooms are decorated with colorful artworks by Belizean painters. They include free WiFi, a safe, flat-screen cable TV and a private bathroom. This room offers 1 Queen-size bed and 1 Double bed and a balcony with garden views. It has a flat-screen cable TV, free Wi-Fi and a private bathroom with free toiletries. This room, also known as the Regal Room after a visit from Queen Elizabeth, overlooks the jungle and includes luxurious furnishings and a large double-sized sofa bed. The Regal Rooms offer a bright airy ambiance and luxurious atmosphere. These rooms contain 1 Queen and 1 Double; additionally, they contain a Queen-size pullout sofa-bed and comfortably accommodate from 4-6 people. 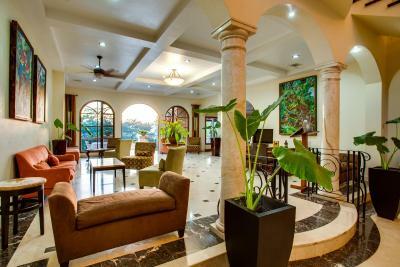 Open to guests since 1976, San Ignacio Resort Hotel is a premier Belizean-owned boutique Resort located in Belize, Central America. 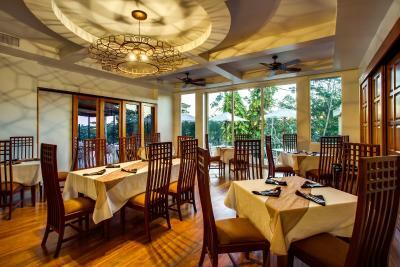 The Resort has received the title of HOTEL OF THE YEAR 2016 and 2012, RESTAURANT OF THE YEAR 2016, and HOSPITALITY AWARD 2015 by the Belize Tourism Board. 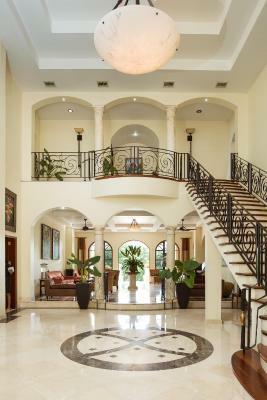 The 26-room deluxe jungle Hotel showcases a contemporary and Mediterranean style lobby with marble columns and floors along with an exotic hardwood staircase. 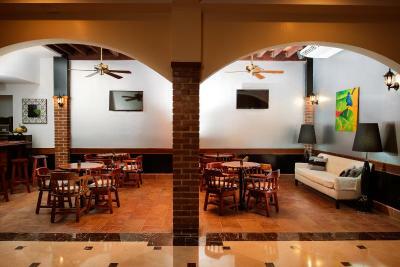 Recently, the Resort has seen major remodeling which included a new air-conditioned Baroque themed Lobby Bar, a formal dining room, and an extended outdoor seating area. In 2016, San Ignacio Resort Hotel introduced two new luxury suites, the Master Suite and Royal Suite, bringing a total guest room capacity of 26. 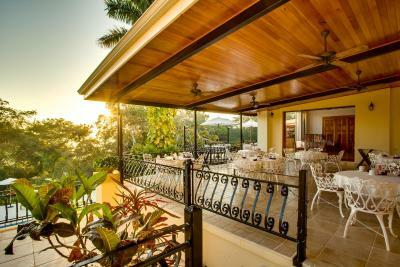 House Rules San Ignacio Resort Hotel takes special requests – add in the next step! San Ignacio Resort Hotel accepts these cards and reserves the right to temporarily hold an amount prior to arrival. The property will be closing the pool for maintenance for Oct. 5 - 15, 2018. Mattress could have been a little more firm. Staff was excellent in meeting our needs!! Nothing. It was a wonderful experience. The staff were so nice. Made.us feel so comfortable. They were truly interested in making sure we had a great experience and we did! Amazing staff, location, and food. I didn't see as many iguanas as I had wanted to see, but they are an endangered species here. The accommodations were great. Not very fancy but very well maintained and the location was amazing. We loved being in the town and able to walk around and enjoy it’s restaurants. Staff were friendly and helpful. And the food and drink prices very reasonable. Nothing except the step in reception. There is a sign and you just have to remember it’s there. Lovely to have the wildlife around when it’s so close to the town. Location is excellent. A 5-10 minute walk from the town centre, although it is up and down a hill. As a result, it is close to the action but quite. 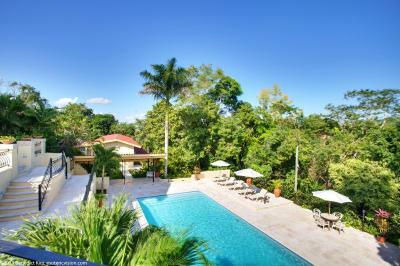 The property and pool face the jungle so feel like you are miles from town. I honestly can't think of anything! Tours may have been a little more expensive than going to an outside tour company on your own, but i think you are partially paying for convenience and peace of mind by booking directly with the hotel. Everything was fine. Convenient to town and the local Maya ruins. Pleasant walking other than some road construction being done nearby which should be completed soon. One big issue is the noise. There is a casino next door and for 2 of our 3 night stay we were kept awake until 3/4am with music from the casino. We had planned lots of tours and activities during our stay which meant early morning starts, so the music was a problem. We did have a problem on check out also. Prior to arriving we received an email re. a free upgrade to the master suite. In the email was a link showing the master suite and all items included as complementary (listed breakfast twice). We gladly accepted. On checkout our bill was quite high. We saw that breakfast had been charged for. When we questioned they stated that the free upgrade did not include breakfast. We argued that point as all info that was provided to us stated it was and nobody ever clarified that point for us. They kept saying it is an internal policy that free upgrade only is for room and not other amenities. It took talking to 3 different managers for 40 mins to resolve this. Eventually they conceeded but this left sour taste at end of trip. Also worth shopping around for tour prices and taxi/transfers as prices charged by hotel seemed crazy (e.g. US$200 each for Tikal tour, BZ$800 total for 2 persons). We paid approx US$165 for transfers to and from airport/Belize city. We had talked to others who had paid a lot less. I haven't looked since to see how this compares, but worth some research. The front line staff are lovely. Very friendly and helpful. Ramon (concierge) and Steve (driver) were particularly nice.